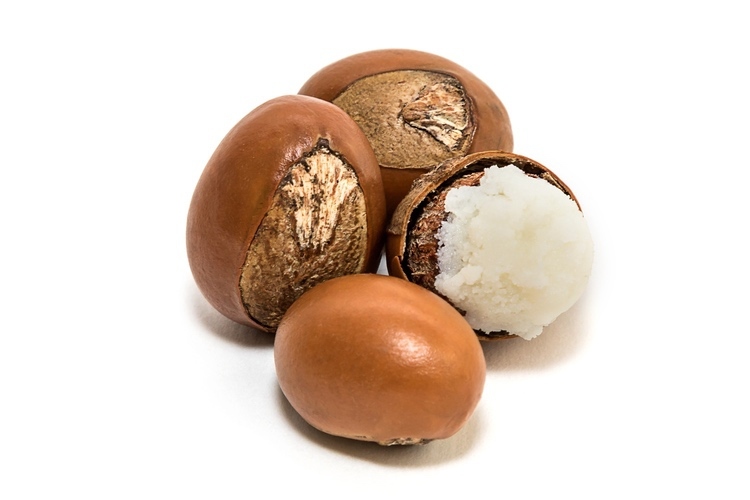 Shea butter, or karite butter, or Butyrospermum parkii, if you’re into Latin, comes from the nut of the African Karite tree. It’s been used for centuries for a variety of applications, mainly and as a general skin conditioner and sun protectant. We can understand why it’s remained so popular: shea butter has the highest ratio (up to 17%) of unsoponifiable compounds of all the vegetable fats or oils. These elements are rich in vitamin, plant sterols, minerals, and other high-impact skin nourishers. It’s also rich in the phenolic compound cinnamic acid, which helps protect the skin against everyday UV radiation. We use unrefined, organic, fair trade shea butter from Ghana in our preparations.